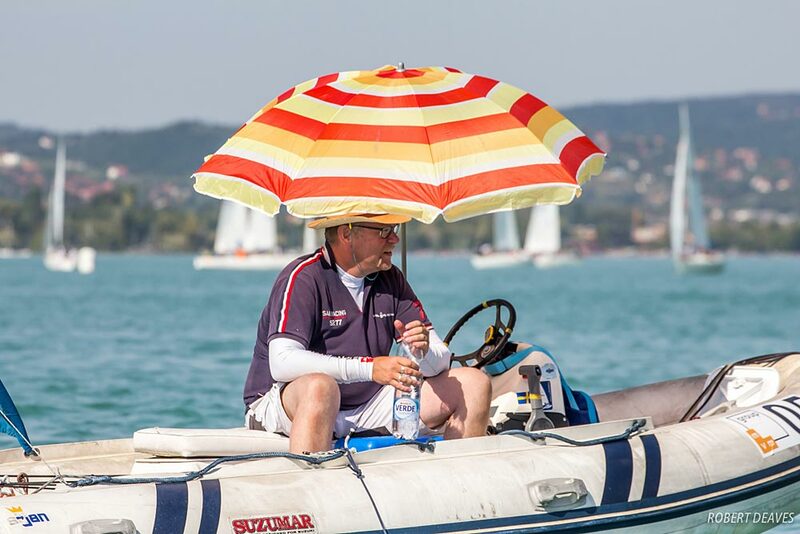 It was a hot, hot day in Balatonfüred at the U23 Finn World Championship. Despite being sent out in a light breeze mid-afternoon, the wind evaporated very quickly in the 35 degree heat and the race officer sent the fleet home less than 30 minutes after arrival. The lake remained like a mirror for the rest of the afternoon. Sunday is the final day of racing with two races scheduled at the earlier time of 08.30 to try and make the best of the wind. 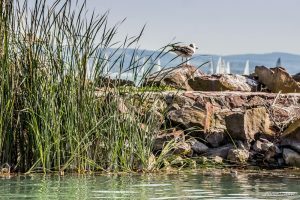 The forecast predicts wind from 08.00 to 11.00 and with a cut off time of 15.30, this could be the only window for sailing all day. Cardona is also one of three sailors who will form a small group reporting to the IFA Executive Committee on matters relating to the U23 events. 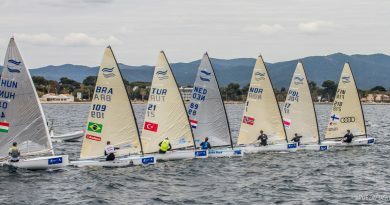 He has four years left as an U23 sailor and along from Cameron Tweedle, from Britain, and Jock Calvert, from Australia it is hoped they can bring an U23 perspective to the International Executive. On Friday morning the sailors held an informal meeting to discuss future plans and events. 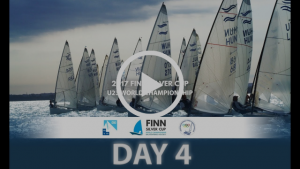 Another new Finn sailor, Gordon Stevens from Canada, has been training at the Dinghy Academy in Valencia prior to the Silver Cup and is in 30th place, just outside his goal of placing in the top half of the fleet. 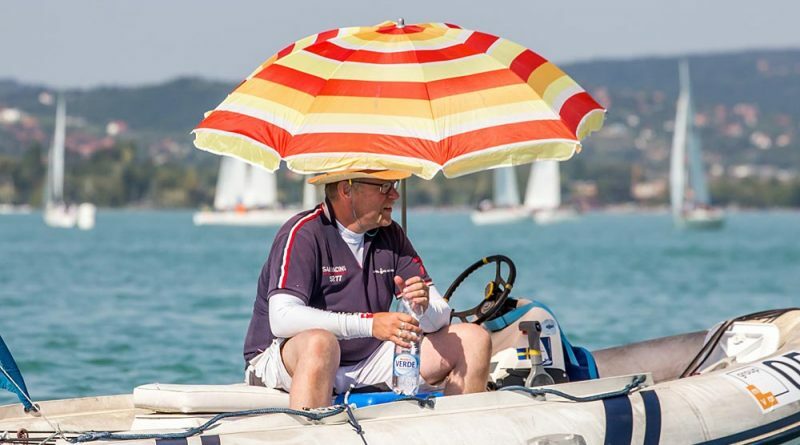 Finn sailing often runs in families and one case in point here this week is Taavi Valter Taveter, son of double Olympian Imre Taveter, from Estonia. He started in the Finn at the end of 2016. Earlier in the year he placed second at Warnemunde Week, sailed in stronger winds. 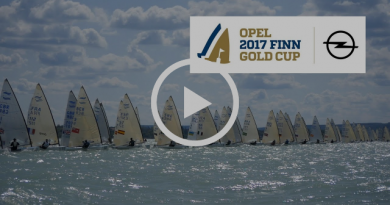 As this championship draws to a close, these three sailors, along with the 42 other young Finn sailors, the stars of the future, have one day left to impress.